Today I’m going to share with you another organization I hold closely to my heart. As you’ve probably read about several times in my posts (or, if you’re new, WELCOME, GOOD PEOPLE! 🙂 ), my passion lies in helping those who are in need–particularly people who are homeless. Some of the most interesting and lively people I’ve met have been homeless. Truly, my biggest calling in life is to help lift up those who need a hand. I long to learn from them– to have them teach me more about the human heart. I hope they tug at your own heartstrings from time to time, too. After all, if we’re not here for others, what are we here for? I had a riveting conversation last night– the kind where thick words fill your thoughts and flood out of your mouth in torrents– about helping people who are homeless. We spoke so delicately of the humans inside what most perceive to be a hopeless shell of person. We spoke so vociferously about how they need more than people’s money and clothes (though, those are surely needed, too); they need belief. These people need belief in themselves. So many I’ve talked to mentioned the estrangement they’ve experienced from families, living each and every day of their lives on the streets, failing at everything they try. They need to believe that they can turn their lives around. But who is going to give them that opportunity? I feel that it’s my responsiblity to believe in these people, to lift them up, and to show them that life is beautiful when we harness the creative and compassionate energies of other people. The creative energy between even just two people is astounding; I find it both heartbreaking and startling that so many are blind to the power of collaboration. The things we can do alone are incredible. The things we can do together are boundless and inexhaustible. Just put two people together in one room who are on fire about the same thing and see what happens. I truly believe if I, or any single person, could collaborate with people who shared the seemingly lofty dream of getting every single person off the streets, it would be possible. I don’t think that’s unrealistic. I don’t think that’s impossible. I think it’s something that the general public isn’t very concerned with; thus, it isn’t a problem that is frequently approached with enthusiasm or any kind of solution. Except for one majestic organization. I LOVE THESE PEOPLE AND THIS ORGANIZATION. I love what they do. You need to look at their gorgeous website. Follow them on Twitter. On Facebook.They employ people who are homeless to transition them out of homelessness. AKA: they BELIEVE in these people. They give them a second chance. I can’t imagine anything more beautiful than that. What a breathtaking concept. I’ve had my giving key for a while now, and it’s hard to think of myself with out it; but that’s the catch– you have to give it away at some point (hence “giving” key). You give it to someone that you think needs the message on the key. Talk about spreading inspiration, motivation, and positivity! I would love to get involved with these courageous philanthropists. SO. Look at how cute their jewelry is! It’s for guys, too, actually. You get them custom-made and there are a billion options. And, it’s for a wonderful, marvelous, magnificent cause. People always ask me about my key. At least once a week. And it’s my favorite motivation to share. This one is mine 🙂 Not very good quality in the picture, but you get the point. BELIEVE IN PEOPLE. Be CREATIVE in solving the problems you want to solve in the world. Most of all, keep the attitude that you can change lives in the forefront of your thoughts. You can. 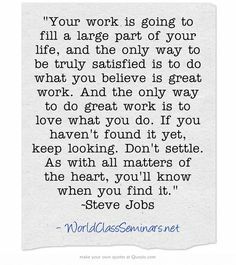 #MotivationMonday: Steve Jobs, Ashton Kutcher, and Brian Preston! Here we are again, friends! 🙂 Happy #MotivationMonday! But then, something keeps me moving: the idea of where I’m going when it’s finished. Like any obstacle in life, we can choose to see it as a wall, blocking us from where we want to go, or we can see it like monkeybars. I’m looking at this like monkeybars over hot lava. I can’t let go or give up, because, well, hot lava wouldn’t feel very good, but also because I have a clear destination I’m trying to reach. I am hanging in the middle of the structure, white-knuckling the bar, staring at the end where I can finally let go of the bars and stand on solid ground again. 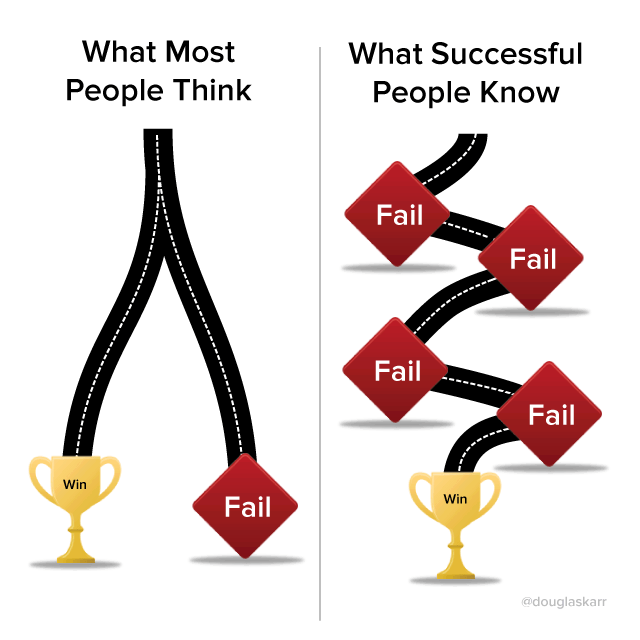 It would take just as much effort for me to turn around and go back to where I started as it would to simply keep going and finish, so I might as well keep pushing forward. And there’s no way I’m touching that lava. I HAVE TO get through this. I WILL. I have too many things to accomplish– too many people to lift up– to stop now. SO! I’m going to share with you a few things that have inspired me recently. They’re all short videos that I beg you to watch. I need to be reminded sometimes that it’s okay to think differently, to be smart and thoughtful instead of skating by, and to stick with what matters to me. I hope you’ll feel the motivation I felt when you watch these. Firstly, I’d like to start off with a video that I’m sure you’ve seen before. It’s one of my favorite, quick videos I use to get inspired. It’s Ashton Kutcher (or should I say, Chris?) giving a very moving 4-minute speech about what is really important in life. I specifically like it because it’s delivered to kids– the future of our world. Secondly, I’d like to share my all-time favorite, 1-minute commercial by Apple. I get chills each and every time I watch this. As you know, I consider myself a dreamer. I don’t like to think like other people (and that often gets in my way). I have my sights set on changing the world from a background stance. I want to lift people up. I want to inspire happiness. 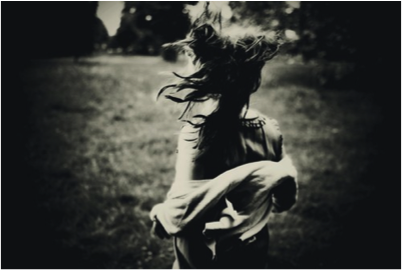 I want to bring about movement. I want to change minds. I want to honor my existence by USING it instead of skating by through life. Most people think I’m crazy. I used to dislike explaining myself simply because of the blank stares/discouragement I often received. People generally dislike what they don’t understand; it’s not a super common thing for someone to have “world-changing” ambition– it makes some people uncomfortable. But, you’re always going to have that when you challenge the status quo. It hurts, but you’re probably doing something right if you’re being faced with foundationless opposition. So, I’ve decided over the last year that I like to hear when people think I’m crazy. I like when people think I’m absolutely off my rocker. That’s when I feel like I’m doing something right. Without further ado…HERE’S TO THE CRAZY ONES. AND FINALLY. This man followed me after last week’s #MotivationMonday. His name is Brian Preston, and he has a Twitter! He was featured on this TED talk and has a really cool business called Lamon Luther which he started. (It also has a Twitter!) 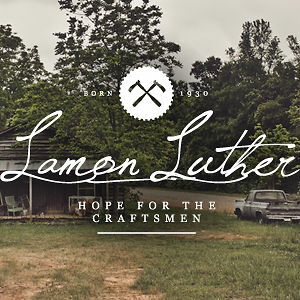 Their slogan is “Hope for the Craftsman,” which is quite fitting as it supports homeless carpenters in their work. It is so hard for carpenters to make it in this economy. They need jobs and opportunities. He quit his stable job to start a business in which he hired men who were homeless and living in the woods to build things for people, and worked with them until they could live in a home. I can only imagine how hard it was to dedicate his life to this cause, because we live in such a mass production, “I-Need-This-Now” society. I think it’s absolutely beautiful that he believes in something so much and wants to give a select group of dreamers a chance to fulfill their dreams. Check out the website (with this really touching video) and show the man some support! He was called to his mission in life, and he went for it. That, in and of itself, motivates me. His work ethic and belief in possibilities should be admired by everyone! So, friends, think different. Be unreasonable. Be unrealistic. Be crazy. Be a gamechanger.